The management of IT projects often suffers from the absence of a continuous flow of comprehensible information and a uniform representation of the desired data. This is why the quality of the presented information is often questionable. Project decisions taken at those information bases are often suboptimal and leave a feeling of insecurity. This paper proposes an approach to mitigate those problems by means of a collaborative acquisition of necessary key factors. The collaboration was carried out in 6 iterative meetings with 4 selected industrial partners. Based on the results of these meetings and Design by Research as chosen methodology, a specification was derived which guided the creation of a research software prototype for the subsequent testing phase. The prototype supported improved project-information representation with meta-tagging through keywords. Qualitative and quantitative data were obtained during testing of real projects of the industrial partners and were analyzed afterwards by a suitable mixed method approach. With 6 out of 8 positive tested hypotheses, the results show a significant improvement in the key issues, such as a continuous availability of key facts, improved reliability of the data, and less dependence on individuals during reporting. 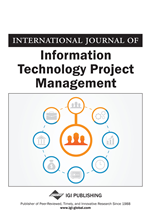 These initial results point to the fact that the path taken in this study is a promising one towards improving the flow and presentation of information in project management generally. Nevertheless, an advanced follow-up study is recommended for deriving yet more solid ground for the derivation of highly usable software support tools. Interdisciplinary project management is one of the most discussed topics. It symbolizes a highly heterogeneous interface where the use of various domains still applies uniformly. On one hand there is a wealth of tools and methods on the other however, their use and benefit from project to project is usually different. The individual priorities, realities and circumstances often lead to a fast increase in the degree of complexity. Many managers opt for classical tools such as the Microsoft Excel package because they are just accustomed to it. As The Planning Survey 2014 (Fuchs, 2014) mentioned, they elaborate techniques excessively, an approach that exploits respective software packages for the envisaged application. A further problem arises with the fact that software is a tangible good and their development is a very individual process. Therefore, some implementation decisions are difficult to imagine and understand - a potential “semantic gap” between the parties arises - and additional due to the timely project processing at the individual level the project communication flow can be a burden to a few key persons. A continuous flow of information in IT projects is classically characterized by a communication path of stakeholder, which leads often from developers over team leaders to project leader or project manager whose requesting project specific information like concrete details of completion times of software modules. For example, if a stakeholder is not available during unfavorable times, the knowledge required for this purpose is already highly fragmented and vague. In summary, this results in a non-continuous flow of information whose integrity, origin and inadequate form of representation during project meetings can lead to misunderstandings and unfavorable project decisions. In other words, the quality of information is questionable. As recent research indicates, there are significant activities mainly in the areas of semantic document management (de Oliveira, 2010), data mining of repositories (German, 2004) and social networking (Sarma, 2009). Also the importance to generate company-specific knowledge is indisputable, especially in companies where domain specific knowledge is predominantly (Kerschbaumer, 2012). Trends toward dedicated decision support systems in order for advanced handling of the growing complexity, seems prevail for some time, especially in the field of project management. This clearly results in the possibility to analyze different aspects like Resource & Project Time Management separately. For example, classical solutions such as Bugzilla or Request-Tracker offer a dedicated management in form of a ticket system, specialized on aspects in project management like bug tracking, on the other hand there are also systems like RedMine which are much more comprehensive and tries to syndicate some support systems among themselves, but their operation and maintenance is often not easy for an unexperienced project manager. Precisely here is where the critical consideration begins. As practice has shown, through a plethora of different support systems, the focus is lost increasingly in terms of a holistic management (Management Study Group, 2013), because classical management theory doesn’t explicitly address meaningful abstractions. In addition, there are often interoperability issues which complicate the exchange of data with higher-level management systems, so called umbrella systems, to ensure a consolidated view.